Hey you! Yes... you. The gorgeous one right there in front of the computer screen. Oh boy, have I got news for you! 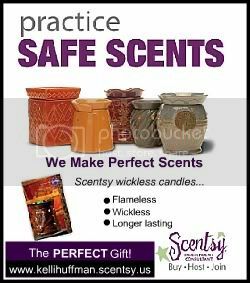 Have you signed up for some Christmas joy? Today is the LAST DAY to sign-up for the super fun Mitten Mixer! Do you love getting packages? Would you like an adorable new pair of mittens sent to you in the mail? Welp, you better click on the button below to find out how fun and easy the mitten swap will be! For all of you mitten-loving-mixer-vixens, I will post your partners tomorrow and shoot you an e-mail! Thanks so much for participating - that truly means the world to me!! PS- I already bought my mittens for the mixer and they are ca-ute! Can't wait to send them to one of you! Merry mingling, my fine friends! Welcome back to blogland! After some much needed time off, I am happy to be back and hear from all of you! How was your Thanksgiving? Did you eat lots of delicious food? Oh lordy, I know I did... which is why i spent 2 hours researching gym memberships last night - phew! Anyway, I'm super happy you're here to mingle and I hope you're going to bring some new friends into the mix! See that gorgeous Mingle Monday button... will you be a doll and consider adding it to one of your posts today? Let's spread the word and get this party started! One more quick reminder - LAST CHANCE TO SIGN UP for the Mitten Mixer! 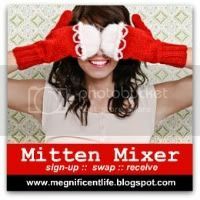 After you enter your blog for Mingle Monday, come back and click on this button for Mitten Mixer details - the more the merrier!! Wishing you a wondeful week! If you haven't visited Brown Eyed Baker, it's one of my very favorite tried-and-true baking blogs. 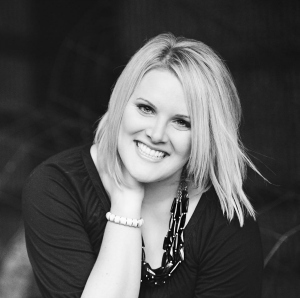 This girl is ambitious (check out her "My 100" list of goodies to be baked), inspirational, and a darn good baker! So naturally I clicked over to Brown Eyed Baker when I had quite the little baking conundrum last week. I was trying to figure out what goodie to bring to our weekly gathering of dinner friends, which is lovingly referred to as Family Dinner Monday, and I knew she would have some great options. 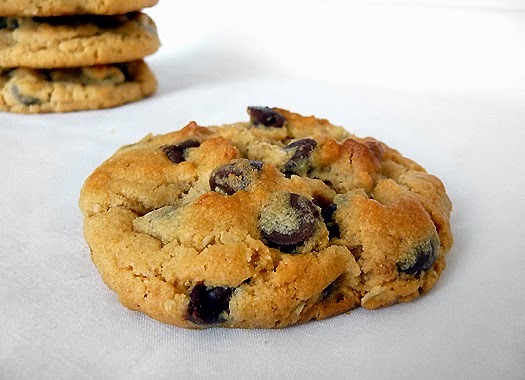 It didn't take long to search through her amazing recipe archives before I found the glorious Peanut Butter Oatmeal Chocolate Chip Cookie recipe. Holy sugar, this one's definitely a keeper! Thy were SO easy to whip up and made a little over a baker's dozen. I wish you could have seen how quickly they were gobbled up... as soon as I set the piled high cookie plate down on the table, everyone was licking gooey melted chocolate off their fingers! Browned edges, chewy middles, creamy peanut butter, and melty chocolate chips. Whether you are trying to find a recipe to bring to your next barbecue or cookie swap, this one is for you! Every single time I make it I have dozens of people begging for the recipe... it's that yummy! 4. Use a large cookie scoop (3 tablespoons) and drop dough onto prepared baking sheets about 2 inches apart. Bake for 10 minutes, or until the cookies are lightly golden (don't ever bake - that's the trick!). Cool for 5 minutes on the baking sheet and move to wire racks to cool completely. 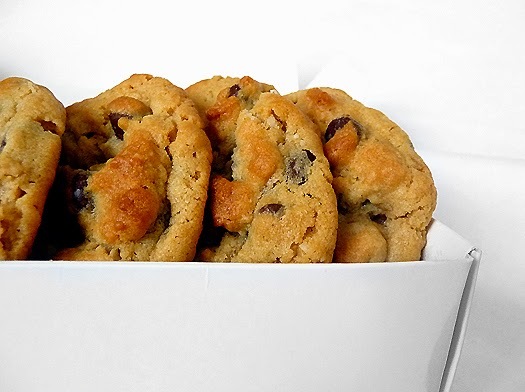 After cooled, store in an airtight container at room temperature.
.:: Thanks for the inspiration, Brown Eyed Baker! ::. Mornin' my fine minglin' friends! Did you all have a fantastic weekend?! Who's ready for some tasty turkey and black Friday shopping... this girl is! 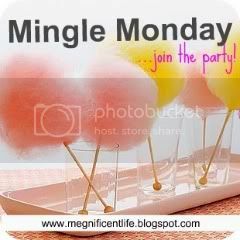 Well, I'm super happy you're here to mingle... check out the fabulous new Mingle Monday button - please add it to a post and spread the word! So naturally, we're going to get to the mingling (of course), BUT first I have to tell you about a fun little opportunity. I have decided to host the 2010 "Mitten Mixer" holiday swap! For those of you who have never participated in an awesome blog swap, this is your chance! Basically, I am getting a bunch of fantastic bloggers together to do a cozy, cute mitten exchange! I mean who doesn't need some fashionable winter hand accessories? I just recently participated in my first swap ever and it was SO FUN to get a package in the mail!! Don't forget to sign up for the Mitten Mixer! I don't want you to miss out on all the festive holiday fun! Wishing you a happy Thanksgiving week!